Luckily, Mt Baker Vapor does offer a coupon for all of their loyal patrons and newcomers alike. Their e-liquids are pretty reasonably priced at just $7.99/30mL for most of their flavors. Some are even as cheap as $6.79/30mL. Nonetheless, they still have to give customers a discount because that's the current culture of online shopping. The returning customer promo code is MBV10 and it'll get you 10% off your total order. You might as well load the boat because you probably won't be getting any other discounts for a little while. If you join their email list, you'll get discounts every now and then. If not, you probably won't be getting any deals anytime in the foreseeable future. New customers, don't use this voucher, use the next one. If you use this one first, you won't be able to take advantage of both coupons. You'll basically be flushing money down the toilette, which is always a painful experience. If you have never shopped at Mount Baker Vapor, please make sure you use the coupon designated for first timers, MBV15. If not, you'll be shooting yourself in the foot and that usually hurts a bit. The new customer discount is the biggest discount, coming in at 15% off. You can always use the 10% coupon for any subsequent purchases, but you only get one shot at the 15% off deal. This is typical of companies looking for you to give them a chance. Some shops are even willing to take a loss on a sale to try and woo you into their loyal customer base. If a company lures you in with a nice discount and you become a loyal patron, then it's all worth it. For e-liquid companies, this is risky business. If your first order happens to be of flavors you didn't enjoy, you probably won't place a second order. I usually don't place another order unless one of my buddies is absolutely raving about some flavor. Other than that, if my first order is nasty, chances are a company will never see my credit card numbers again. When trying a new brand of vape juice, I use the same tried and true method that I've been using for years. You may do something similar, but just in case you're wondering how to find new amazing flavors I'll share how I do it. When looking for a new brand of e liquids to try, I always start by looking at the most popular flavors. This can easily be done at Mt Baker by looking at their “Top Performers” category. I look for the most well-reviewed flavors in my favorite categories, like fruit, dessert, cereal, or tobacco. I always buy a couple of the most popular flavors. About 2-3 depending on the price. I also throw one wild card flavor in the order. This is how I find new riskier flavors. You can also sample flavors at local vape shops to try new flavors too, but you'll have to pay $1 for the samples. If I like the popular flavors or wild card flavor, I add the shop to my rotation and order from them regularly. This really applies to all e-liquid shops, not just Mt Baker. Some vape stores don't have a filter or category for their most popular liquids, which makes this method a pain in the rear. When a store doesn't have a way for me to easily see the most popular liquids, I look for my favorite flavor categories and start clicking through the individual juices like mad. Sometimes I use a spreadsheet and jot down the flavor name and how many reviews it has. This helps me keep track of which one is the most popular. Other times I just eyeball it and go off memory. It really depends if I'm at my computer or on my phone. As long as their are a few reviews, I'll try a shop. I'm not one of those uppity vapers that won't try a brand with less than 500 reviews. I'll even try a juice with no reviews as long as their are some flavors on the site that have a decent amount of review. When I see 15+ real-looking reviews on a few flavors, it makes me feel more comfortable. When trying a new flavor, don't judge by the pictures and reviews alone. Definitely make sure you read the product description. The reason I'm saying this is because they'll have a perfect sounding flavor and then there will be some weird ingredient that doesn't go and isn't in the picture. Some of them sound a little too adventurous for my tastes but hey, maybe they're good. 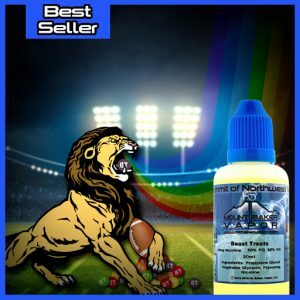 On my first order from Mt Baker Vapor, I ordered a flavor called Beast Treats. One of my favorite categories is fruit flavors, and it was a well-reviewed fruit blend. When I read the description, it didn't sound all that appetizing. It sounded like a random fruit concoction that someone threw together. Boy was I wrong. It's actually pretty freaking delicious. I would have never thought to combine three citrus flavors with strawberries and grapes, but it works. The flavor has over 800 reviews and 4 stars, which is solid in my book. 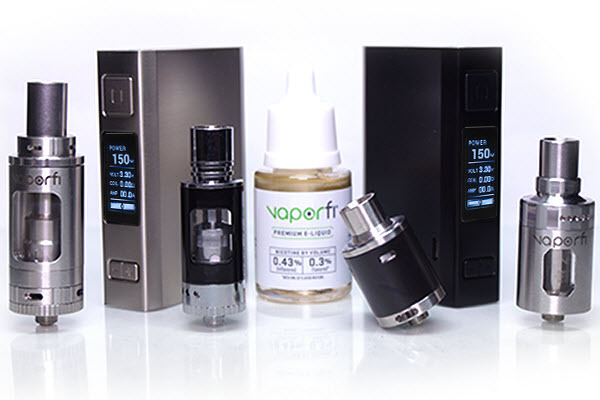 Given the subjective nature of vape flavors, maintaining 4 stars with that many reviewers is a serious accomplishment. There are actually other flavors with more reviews and more stars, but this was one of the highest in the fruit category. If you try Beast Treats, you'll probably have trouble profiling the flavor. It's kind of ambiguous which will have you reaching for another draw to try and figure it out. You'll probably never feel like you have the flavor pinned down, and that's part of what I like about it but it also can be a little frustrating. If you're the vaper that hates ambiguous flavors, then Beast Treats isn't for you. It'll piss you off. I don't mind an ambiguous flavor, but in moderation. Beast Treats is not a flavor that I'd use for a daily vape, because it would piss me off too. Don't get me wrong, I love the flavor but I can only vape it in spurts. I just placed another order and am looking forward to trying some more of their flavors. I might even try one of their weird combos since some of them have some pretty convincing reviews. Whatever you end up trying, make sure to use a coupon so you shed some of the financial weight of vaping. It may be cheaper than smoking but it ain't exactly cheap.